Tenerife is the largest and most populated of the Canary Islands, located in the western half of the archipelago. 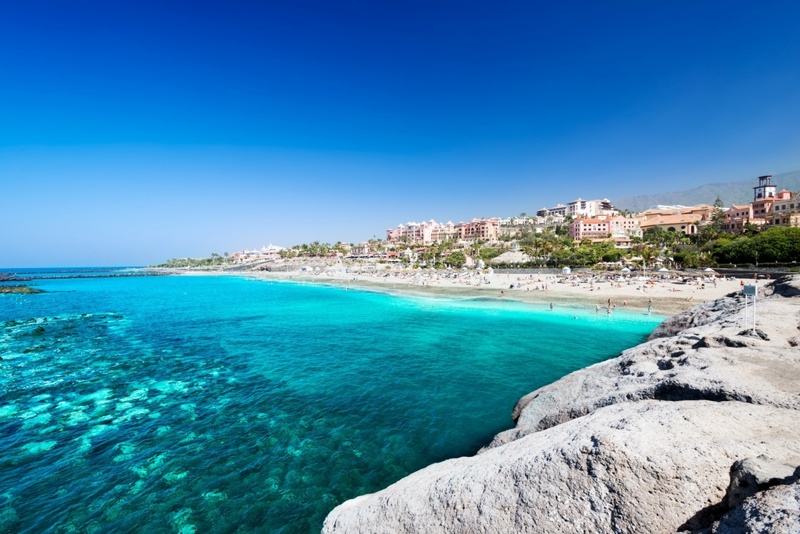 This island is one of Europe’s most popular holiday destinations thanks to its superb tourist facilities, a huge range of accommodation and an unbeatable climate which earned Tenerife the nickname of ‘the island of eternal spring’. Due to being the largest island with the most inhabitants and an incredible number of visitors each year, Tenerife is arguably home to the best services and facilities in the Canary Islands. Even in the most remote villages you’ll still come across essential amenities, such as well-stocked local supermarkets with freshly baked bread, small tapas bars serving cheap drinks and traditional Canarian restaurants which offer home-cooked food. The south of the island is where you’ll find most of the popular tourist resorts, including Costa Adeje, Playa de Las Americas and Los Cristianos. This part of the island enjoys very warm temperatures with oodles of sunshine which has created a very dry landscape over the years. There are all sorts of things to enjoy in the south of the island, including a myriad of beaches, water parks including the ever-loved Siam Park, animal parks, golf courses, bars, restaurants, accommodation and a wealth of excursions. The north of the island, which includes the capital Santa Cruz de Tenerife and La Laguna, is a lot more residential and traditionally Canarian, although there are a few holiday resorts to be found, such as Puerto de La Cruz. Tenerife north experiences a slightly cooler and damper climate than the sun-kissed south, which has resulted in a much more lush landscape with grass, flowers and trees all over the place. Here you’ll find all sorts of things to see and do, including the beautiful Las Teresitas beach, lidos, various museums, shops, bars, restaurants, accommodation, golf courses and a handful of tourist attractions including the world-famous Loro Parque. In the centre of the island you’ll find the star of the show – Mount Teide. Standing at 3,718m tall, this colossal volcano is Spain’s highest peak and the third largest volcano in the world. Mount Teide is surrounded by a diverse National Park which features everything from barren alien-like rock formations to fairytale-inspired magical forests. Whether you’re a solo traveller looking for an adventure, a couple in search of a romantic getaway or a family who wants to spend time together, you’ll find everything you need to enjoy your perfect holiday in Tenerife in the Canary Islands.